After the fun-filled celebration of having to scroll further down age-selection forms on the internet yet again, I felt rather bemused at how fast life was whizzing through highs, lows and the “despite this/that…” moments. So, once the usual questions “How’s the facial pain going?” as well as “Willeke, why do you never smile at the camera? !”, I wanted to give as much information in one sentence as possible. Sometimes it’s good to be low on energy as it automatically stops you from talking about “that” subject for the rest of the day. “That” → MS. Facial pain. Or pain, period. Other medical questions aside, I tried leaving out any psychobabble and self-analysis answers because other than having MS and a troublesome heart, I am really just an average chick whose body rattles and shakes like everyone’s body supposed to at my age, especially after just adding another 365 days to my life. Nah… the combined answer to why I don’t smile on camera is because of a very similar reason why I don’t always burst out laughing anymore: facial pain. Laughing is a primal response, which means that you just don’t have that much control over it, even when you think you do. When someone or something quite gallantly activates my laugh-switch, so, my face responds with a burst of uncontrolled laughter, forgetting that my 5th cranial nerve has a disability all of its own. In English – and without exaggeration – thirty seconds of laughing sets off hours of facial pain. Consequently, out of necessity and when possible, I smile on the inside, giggle and howl of pain on the inside. All that aside now, because of my daily chronic pain(s) and a mutual interest in all things concerning the mind, one of my friends asked me if I were given a choice, would I choose to be physically or mentally ill. Not really a question for birthday celebrations, but an interesting catch-22 either way. In a fair, disease-free world, I want neither, that much is obvious. If I had to choose between the two, it would be awkward as I have little to no experience with being mentally ill. On the other hand, I have gathered so much knowledge about being physically ill in all its varieties, so I felt I could answer the question easily enough. Physical health speaks for itself, as all of us have some level of fitness, wellbeing, illness or disability. Mental illness is mostly caused by genetics, environmental, biological or psychological factors and involves cognitive thinking and the processing of information. Emotional health is about being able to express one’s thought processes, behaviour and feelings in relation to other people’s description. It is harder to deduce as it depends on age and probable stressors like depression. I have always maintained that describing one’s disease and pain is quite relative. What you see as horrendous pain might be just peanuts to me. For example, I cannot remember when I last slept 8h straight as my nights are interrupted by quite painful bouts of left side nerve pain in my arm and leg. Hence, sleeping only 1h30 all night is nothing new. A friend of mine told me later that day that he had the hangover of all hangovers, and that his wrist felt awful because of computer-induced repetitive strain injury. When I remember what my own computer-induced RSI pain felt like while working in a library many years ago, despite it being quite painful at the time, it would now register low on my pain scale as nerve pain now feels like agony at times. Both of us feel abnormal under our pain, but as the adage goes, you cannot compare apples to oranges. Whereas someone with the mother of all hangovers will not have to end their career because of a night out (unless they found themselves in a car crash or other serious accident), I had to finish my career because of never-ending fatigue and merciless trigeminal pains. It’s also quite clear that comparing or even choosing one illness over another is impossible, and in fact, something nobody should ever have to contemplate (I put it down to the company I keep sometimes, bless their souls). Trying to find out if being mentally ill is worse than having a physical illness is a job not done. Either way, I tried working out what I do know about mental/emotional health opposed to physical health by mulling over the depression I had two years ago, and the MS that has been here for at least 15 years. I know MS inside out, therefore I refuse to let it get the upper hand as I go against its very appetite for neurodegeneration as best as I can. If MS had a face, I would refuse to show it how it impacts me. If it had a body, I could whack its knees from under it if I were the aggressive type (Sorry mum, I know you raised me to be a “Make love, not war” type of person, but in this case, I feel I’m justified in whacking MS). I have MS. Boohoo. Not as the neurologists know it, but as I, the carrier of the lesions know it. At first, MS was unkind. Bitter. Humiliating. Careless. Unfair. But, I’m cool with that, now. I learned to live with it, around it, over it, aside from it, in it and any other way you can live with a neurodegenerative illness. Despite it being here 24/7, I continue to find beauty in life. What MS and I have going is a long-term relationship, because no cure means needing lots of hope and patience. As the eternal optimist, I have both in high quantities. I’m cool with all that too. Is life with MS that comfortable, then? You just have to learn how to live with it. 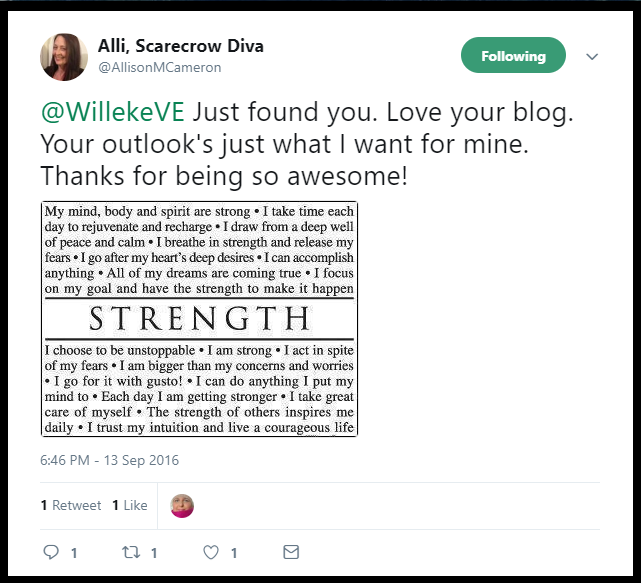 Somehow I found a way to tap goodness from those negative connotations because I listened to its actual narrative by refusing to make a mountain out of a molehill (for more on self-pity, check this post here). So, even when facial pain is also called “the suicide disease”, even when MS fatigue can knock me senseless in less than five minutes, and even when I feel awful inside despite not looking sick, I am just cool with the whole lot because there simply is no other way. The depression that came and went used a similar rhetoric. I felt it was humiliating. It felt unfair, and it was similarly careless in the way it progressed. 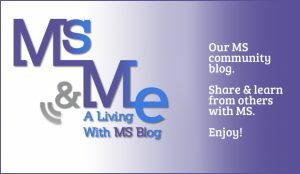 The biggest difference between MS and depression? Depression left with one tablet a day for a few months. It might return, but then again, it might just stay away forever. 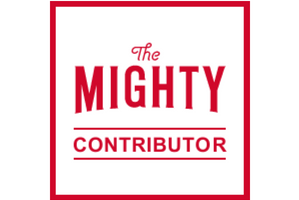 My MS is currently on a regimen of approximately 28 pills a day, about 10,000 tablets a year. Obviously, I cannot speak for those with enduring mental illnesses, for those in treatment and just as eager to be cured as others with physical illness are. I base my knowledge on what I learned during my counselling course and what I went through with depression. Despite feeling weak, I was still able to leave the house on my own two feet. It didn’t stop me from entering buildings; it didn’t force my body to stop breathing voluntarily or feel wretched pain. Despite the apparent lack of motivation, I met friends and tried to socialise, I did my grocery shopping and cleaned the house. Depression asked for a chemical rebalance in my brain and depression left my body without significant medical or surgical intervention. Because of the physical harshness on your body, MS degenerates and eats away at your neurological makeup in your brain, spinal cord or optic nerves. Because of this, it robs people of being able to go out on their own two feet. It makes them sit in a dark room because their eyes hurt. It won’t allow people in wheelchairs to enter buildings anyone else can access without any hassle. MS aside, cancer can return and eventually claim a life. Motor Neuron Disease can rob someone’s last breath. A baby can pass away from sudden infant death syndrome. Any illness, mentally or physically, is a cowardly act. We all agonise over it in our own way, and we all try to get healthy as quickly as possible in our distinct way. I leave my brain to the experts and know that they are at the top of their game, and that they will do anything to help me live as best as I possibly can. So, when someone says “how can you be so optimistic and happy all the time despite the illness you’re living with,” I look at a picture of my late brother who passed away age 36, and I realise that I am living the best as I can. That, and this realisation: we only have one life. © Willeke Van Eeckhoutte and Ireland, Multiple Sclerosis & Me, 2011-2016. Unauthorized use and/or duplication of this material without express and written permission from this blog’s author and/or owner are strictly prohibited. Excerpts and links may be used, provided that full and clear credit is given to Willeke Van Eeckhoutte and Ireland, Multiple Sclerosis & Me with appropriate and specific direction to the original content. illness is part of living life.When you are healthy it is giving of God.So when you healthy thanks to God for good health.When you I’ll that is also will of God testing how you remember the days in health so when ever I and you get I’ll we have be examined that thank.In illnes we should thanks to God and I believe and firm bleave you cure fast.Hope all of us same bleave for creater must. You said, “one of my friends asked me if I were given a choice, would I choose to be physically or mentally ill.” I would say neither. It sounds to me like you have lived with MS long enough to know your body, pain tolerances, etc. quite well. I’d like to ask you if you feel like you’ve been getting sharper mentally as the physical body becomes worse? I have been battling spinal cord issues for over 50 years starting with a fracture in 1964 and then syringomyelia starting in 1985. My body has been through so many things I can’t even begin to explain them. I am very thankful for one thing, the Lord continues to strengthen me to go one more day. He has been doing this for a long time. I do seem to feel my mind is working better now than it ever has, at 75 years old. 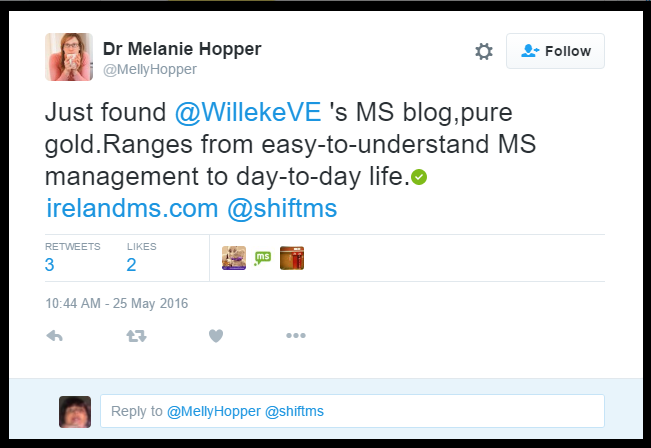 I like reading your blog story of your MS I know it is impossible to explain, to anyone, even after you lived it. Bless you, keep up the fight. Of course, neither is wanted, the question was more if you had to choose, if there was no other way. So sorry to hear about your spinal cord injury. After all that time, you seem to have learned what you can and cannot do. I feel that it’s only after a certain time with an illness, that you finally realise that there is no other way than just getting on with it. Fair play for having a clear mind, a lot of people would not be in that same position.